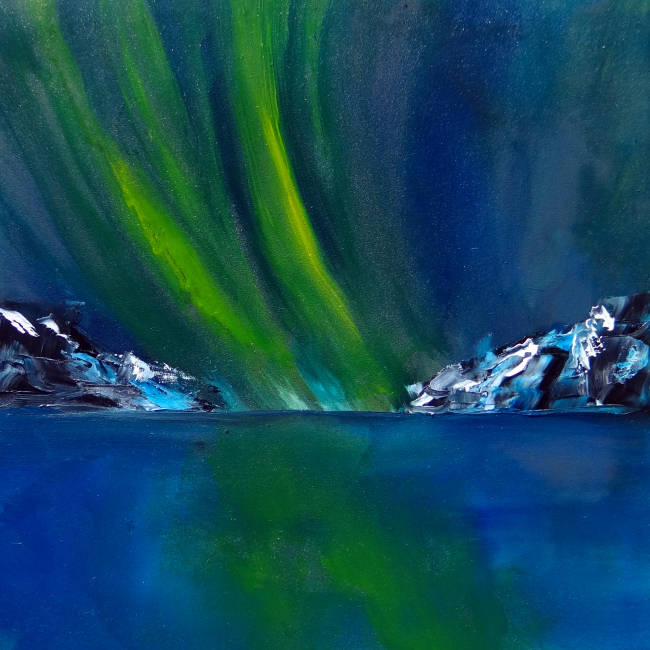 diana lynn's painting a day: Northern Lights. Think abstract meets surreal. I like the colors in this one, especially the green. A painting of them on a larger canvas is now on my to do list. This was done oils on sandpaper too. The streaky nature would have been next to impossible for me on regular canvas. Almost as nebulous as the "lights" themselves.